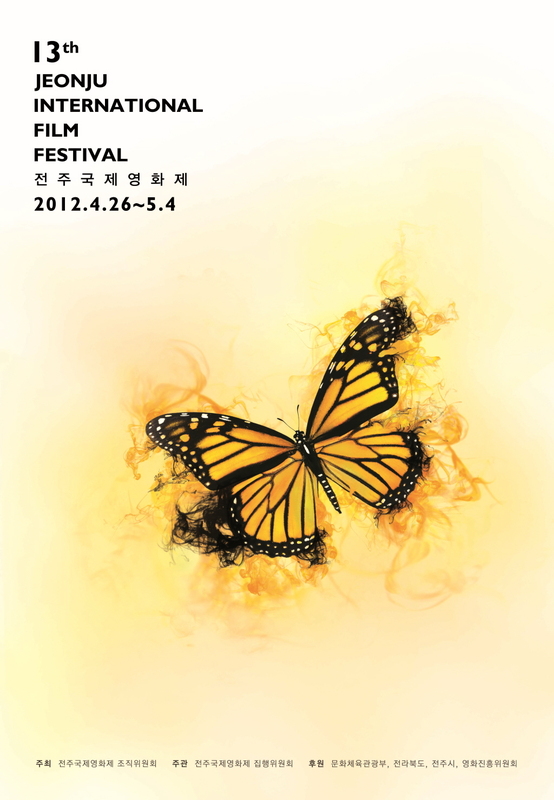 The Jeonju International Film Festival (JIFF) wrapped up its 13th edition successfully on May 4th, 2012 by announcing the winners of its competition sections. Among the ten films in JIFF’s International Competition, Summer of Giacomo by the Italian filmmaker Alessandro Comodin won the grand prize, the Woosuk Award, “for its sensual approach to the portrayal of disability, unusual structure and radiant message,” according to the jury’s comments. The Special Jury Prize went to Ex Press by Jet B. Leyco from the Philippines, “for its unusual combination of politics, history, fact and fictions, for the dream like, surreal quality and the radical message,” and the JIFF Audience Award went to The River Used to Be a Man by Jan Zabeil from Germany. The International Competition section features only first or second films from directors; both Summer of Giacomo and Ex Press were debut features. In the Korean Competition, which featured 13 new Korean independent films, JANG Kun-jae’s Sleepless Night won the top prize, the JJ Star Award. A realistic portrayal of a married couple’s everyday life and their concerns exploring the true meaning of marriage, Sleepless Night also won audiences’ hearts, receiving the JIFF Audience Award to score twice at the festival. The Audience Critics' Award went to KIM Eung-su’s Without Father, a documentary which follows two Japanese women’s separate journeys in relation to their fathers’ lives: Yoko, the main character from Yoko Kawashima Watkins’ novel So Far from the Bamboo Grove, and Masako, who is living in Korea after marrying a Korean man against her father’s will. As for the Korean Short Film Competition, Noodlefish by KIM Jin-man, an animation made with noodles, won the grand prize Zip & Award, while The Arrival by SHIN Yiee-soo and Why Does Wind Blow by LEE Hang-jun won the Best Film Awards for fiction/documentary and experimental film, respectively. The NETPAC Eastar Jet Award, which is given to the best Asian feature film at JIFF, went to Florentina Hubaldo, CTE by Lav Diaz from the Philippines. Finally, the CGV Movie Collage Award went to PADAK by LEE Dae-hee, the only Korean animated feature included in the International Competition. The Movie Collage Award gives one Korean film appearing at JIFF a theatrical release at Movie Collage, the arthouse brand of CJ E&M’s CGV theater chain. The 4th Jeonju Project Market also announced its award winners: Stain by OH Ka-eum, a thriller from its Producer Pitching program; City: Hole by JEONG Jae-eun, a sequel to the director’s acclaimed documentary Talking Architect (2011), from the Documentary Pitching project; and finally Viola by the Argentinean director Matias Pineiro, from the Work in Progress program, won the top prize of KRW 10 million (approximately USD $8,760). Opening on April 26th, JIFF screened a variety of alternative and independent films from all over the world over the course of nine days, totaling 184 films from 42 countries. Out of 297 screenings, 140 were sold out, with 67,144 paid admissions and an average 80% seat occupancy rate. Korean films such as PADAK, Sleepless Night, Remembrance of MB by KIM Jae-hwan and All Bark No Bite by CHO Byoung-ok were among the ten most popular films at JIFF, all highly acclaimed by their audiences, as were foreign films such as House of Tolerance by Bertrand Bonello, Nana by Valerie Massadian and The Painting by Jean-Francois Laguionie.